An orthopedic mattress is one of the best choices for all those people who are suffering from back or joint pains. Apart from their ability to give extra comfort to people with sensitive backs and joints, they are also an excellent pick for people who simply want to ensure that they get a comfortable night’s sleep and do not develop back or joint pains as they grow old. The orthopedic doctors also strongly suggest the use of orthopedic mattresses to people of all age groups because they prevent all orthopedic disorders in the long haul. This guide by AmerAdnan will help you knowing in-depth about orthopedic mattresses and their benefits. 1. What is an Orthopedic Mattress? As the name suggests, this kind of mattress is made especially to avoid all kinds of orthopedic disorders. Did you know, the softer mattresses do not tend to place your body in the ideal sleeping posture? In fact, a super soft or saggy mattress can become a cause of an uncomfortable night’s sleep followed low back or joints pain during the coming day. The orthopedic mattresses of all types are designed especially to offer maximum support and comfort to people of all age groups, said by best interior designers in Pakistan. This also takes away all your aches and pains. 2. What are the Different Types of Orthopedic Mattresses? 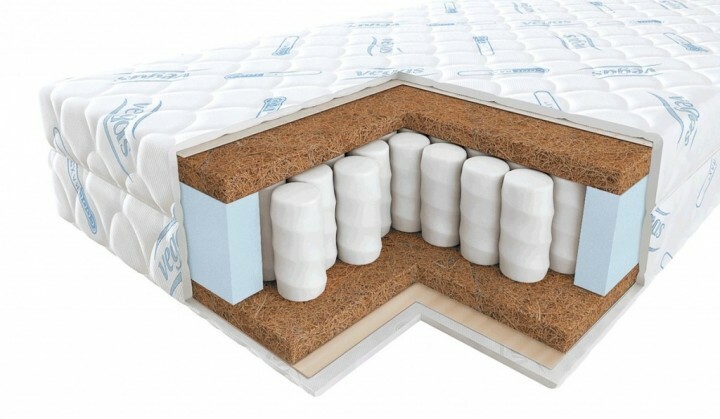 The orthopedic mattresses are manufactured in three different ways. Read below to know about three different types of orthopedic mattresses available in the market. The open coil orthopedic mattress is made out of single springs that are fixed together with the help of a single wire. These springs in an orthopedic mattress move as one unit, making your partner’s night-time movements more noticeable. These types of orthopedic mattresses are made out of separate springs that are fixed together by a single wire which is held in an individual fabric pocket for providing extra support and to evenly distribute the weight of each person resting on them. This ensures 100% comfortable night’s sleep. The orthopedic mattresses with memory foam are designed especially to mold according to the contours of your body. This ensures minimum pressure to be put on the joints and spine. The memory foam orthopedic mattresses provide firmer support resulting in a good night’s sleep and are therefore just right choice for your whole family. 3. Do I need to buy an orthopedic mattress? As mentioned above, you do not need to be suffering from a specific medical condition to be eligible for buying an orthopedic mattress. In fact, many people buy these mattresses as a precautionary measure to avoid any potential orthopedic disorders. For the sufferers of back, joint and neck pains, the orthopedic mattresses can turn out to be an amazing choice. Another big advantage of an orthopedic mattress is that if you and your partner have a large weight difference, it helps distributing weight evenly, making it comfortable for both of you.